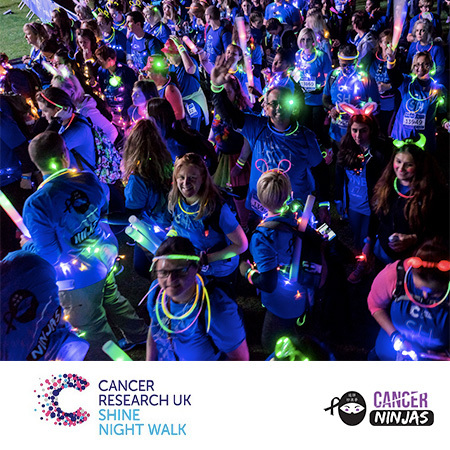 SHINE is a half Marathon walk through London at night to raise money for cancer research. It starts at Southwark Park and finishes at Old Billingsgate. I will part of the Cancer Ninjas Team! !My friend Claire has asked me to join her in our first half marathon walk in aid of Cancer Ninjas. Go girl - we can do it!! !